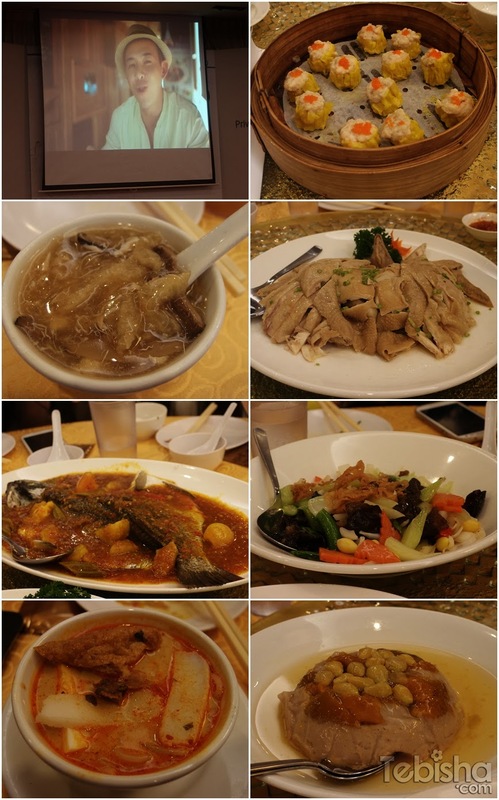 Attended my first blogging event of the year 2014, Served Hot 《烧。卖》and A Taste of History 《寻味地图》Private Screening. Thanks Channel U for inviting me to this awesome event, giving me the opportunity to meet the cast of Served Hot 《烧。卖》, the host of A Taste of History 《寻味地图》and treated with sumptuous 7 course dinner at Swatow Seafood Restaurant! While waiting for the host and cast to here.. The special menu of the 7 course dinner! And finally we have the host of the night, Bryan Wong 王禄江, which is also the host of A Taste of History 《寻味地图》. Bryan’s sense of humor spice up the audiences and making everyone anticipating to the upcoming programmes. And here comes the cast of Served Hot 《烧。卖》. Cast of Served Hot 《烧。卖》 Zhu Houren 朱厚任, Lee Teng 李腾 & Chew Chor Meng 周初明. First part of the Private Screening, the cast explained their characters in the drama and sharing some fun moments behind the scenes. Lee Teng first time took up the challenge of acting drama so Bryan Wong requested him to do up a short play with Ya Hui to test his acting skills. Look at Lee Teng’s expression! He so serious in his role. Bryan Wong’s fans had a little surprise for him on that night. Bryan Wong’s birthday is on 30 January, so they prepared a A Taste of History 《寻味地图》birthday cake for him, had an early birthday celebration for him. While the screen play the first episode of A Taste of History 《寻味地图》and summary of Served Hot 《烧。卖》video, we get to enjoy the 7 course dinner, its a special menu of local dishes. After the delicious dinner, the last event for the night. The main cast of Served Hot 《烧。卖》will team up with and audiences and had a Popiah making competition! Ya Hui was in our team! Ya Hui focusing on making Popiah. The judges for Popiah making competition: Zhu Houren, Jayley Woo (Special appearance) & Chew Chor Meng. The teams won a piece of Bak Kwa each! And lastly we got a chance to take a picture with the cast and host. Do catch it on Channel U, Monday to Friday at 10pm. Established shop ‘Nanyang Delicacies’ is searching for ‘the fated person’ who can discover the special flavour behind its laksa. The one who has the correct answer will be given its laksa secret recipe, worth a million dollars. Many have attempted but failed to even meet the founder in person, until this day when 3 boys in their twenties arrive in the shop. Upon tasting the laksa, they ask “Can I see the chef?”. From that moment on, their life stories are rewritten. A Taste of History 《寻味地图》 premieres on 07 January, every Tuesday at 8.30pm. Once again, Thanks Channel U for the invitation! I had an great and enjoyable on that night. 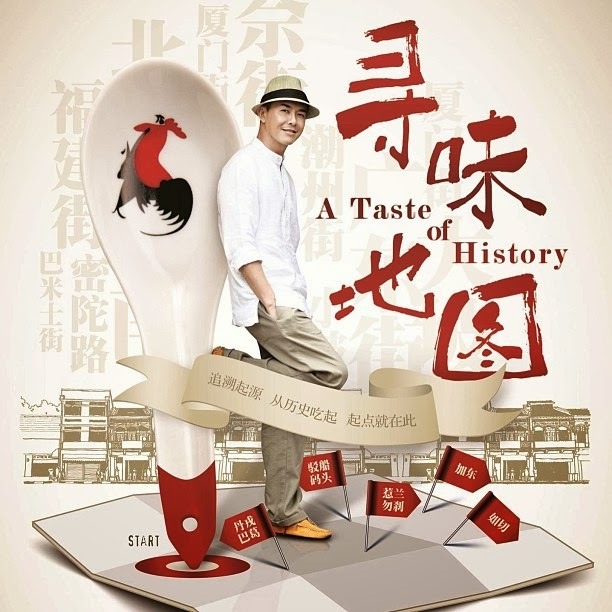 Do remember to catch Served Hot 《烧。卖》and A Taste of History 《寻味地图》on Channel U! Great write-up on A Taste of History. Always the place I come for news on Channel U.
Wow, It seems like a star studded event and I like A Taste of History's objective!